It’s not been a good few months for the Tories. They’ve always been fighting Labour and the unions, but now they’ve turned on each other. The irony is, David Cameron is so over confident he has the audacity to attack Jeremy Corbyn’s split Labour Party. I’m not entirely sure whether it’s funny, or just plain stupid. Essential Information for claims, assessments and appeals. There are three essential ideas to keep in mind when claiming Employment Support Allowance (ESA) because of the nature of the ESA50 form, and the fact that Atos are seeking to deny benefits, and NOT assess disability: this will not be a fair investigation of your health issues. This information needs to be shared widely so people are made aware of them, and can use them when claiming ESA or appealing. 1. Reliably, repeatedly and safely. 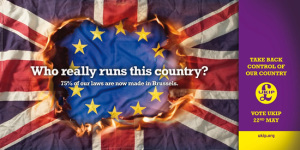 This is a poster just released by the UK Independence Party (UKIP) for the 2014 European Election campaign. Truth, lie or a genuine mistake? 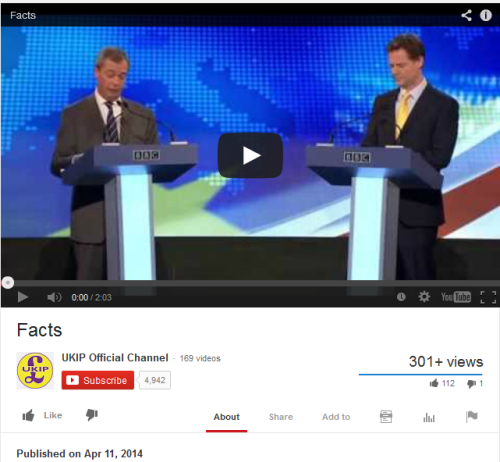 Screenshot of UKIP ‘Facts’ Youtube video, now made private/removed. QC Jolyon Maughan, ripping lying spiv Gideon Osborne’s claims before parliament to SHREDS! DID CUTTING THE TOP RATE REALLY RAISE £8BN? Osborne has said that reducing the top rate of income tax from 50p to 45p raised an additional £8bn from the highest earners in its first year. Speaking in the Commons he said the revelation “completely defies” predictions made by Labour that cutting the rate from 50p to 45p would cost £3bn and give top earners an average £10,000 tax cut. HMRC previously estimated that cutting the top rate from 50p to 45p would cost the Exchequer £100m. “Under this government the richest pay a higher proportion of income tax than under the last Labour government. Indeed we have just had numbers out this morning from HMRC which for the first time show the income tax data for the year 2013/14, which is when the 50p rate was reduced to 45p. I don’t have the number to which Osborne refers but it is broadly in line with what was forecast in May 2015 which showed a projected increase in income tax paid by additional rate taxpayers of £7.1bn. Does this increase vindicate, as Osborne suggests, to the tune of £8bn of extra receipts the decision to cut the 50p rate? Tax receipts were artificially low in 2012-13 (because people delayed receiving income until rates fell) and were artificially high in 2013-14 (when those delayed receipts were received). Combine those two numbers and you may well explain your £7bn jump.